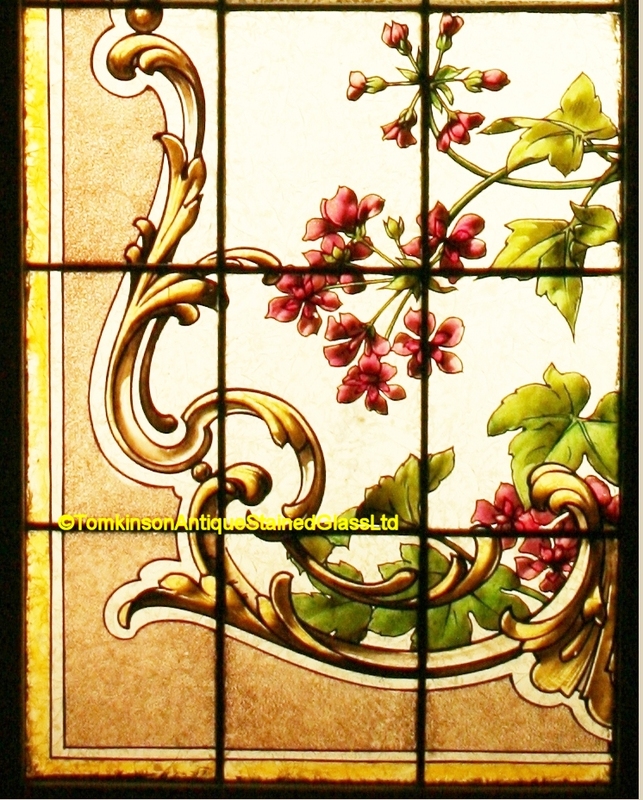 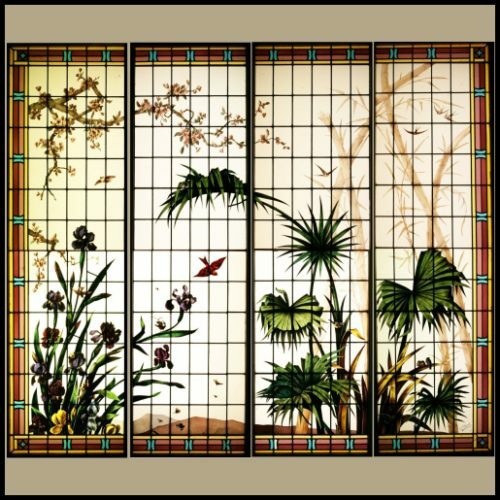 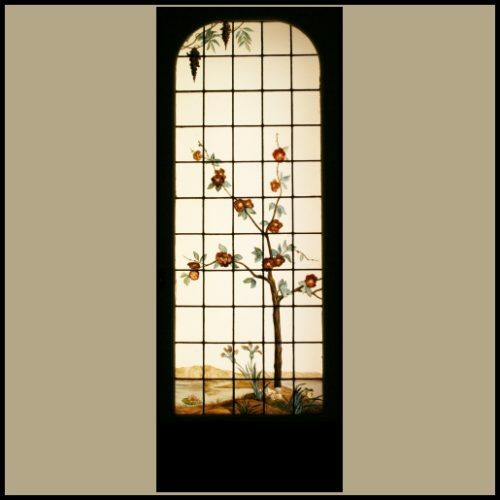 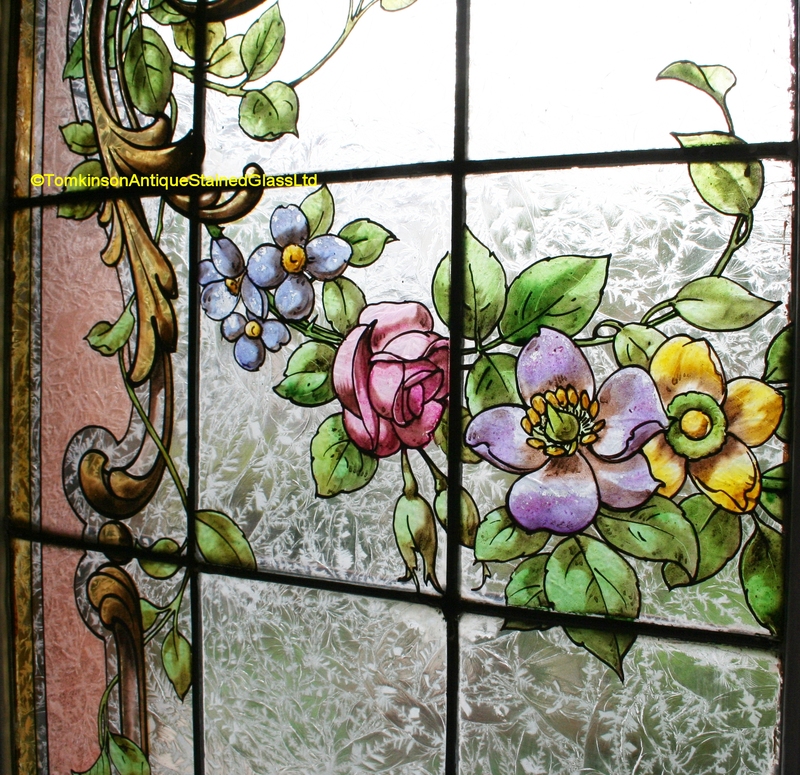 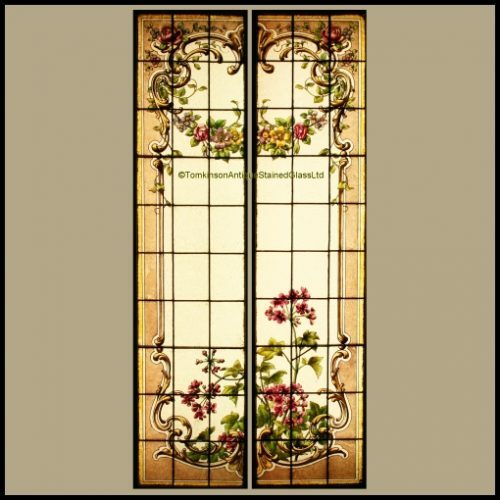 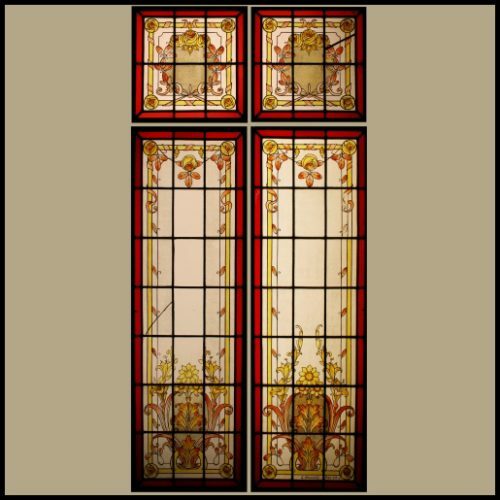 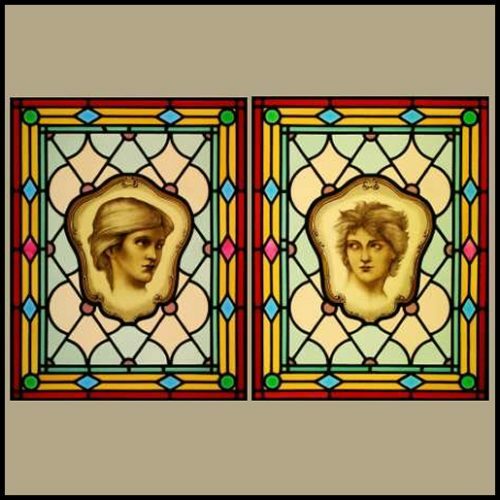 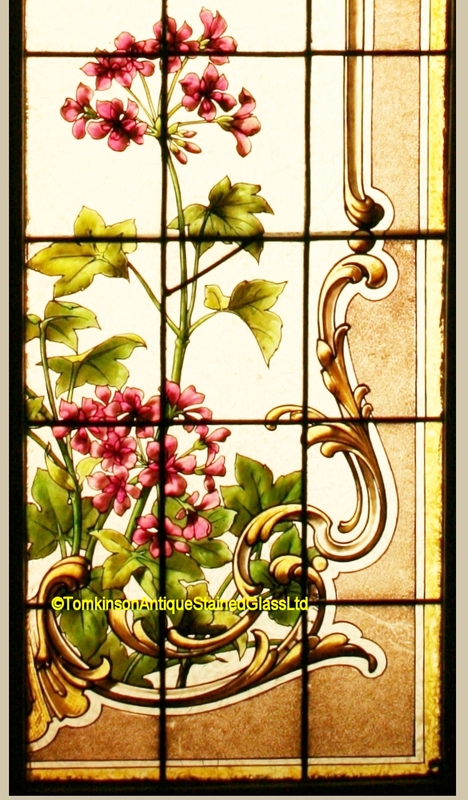 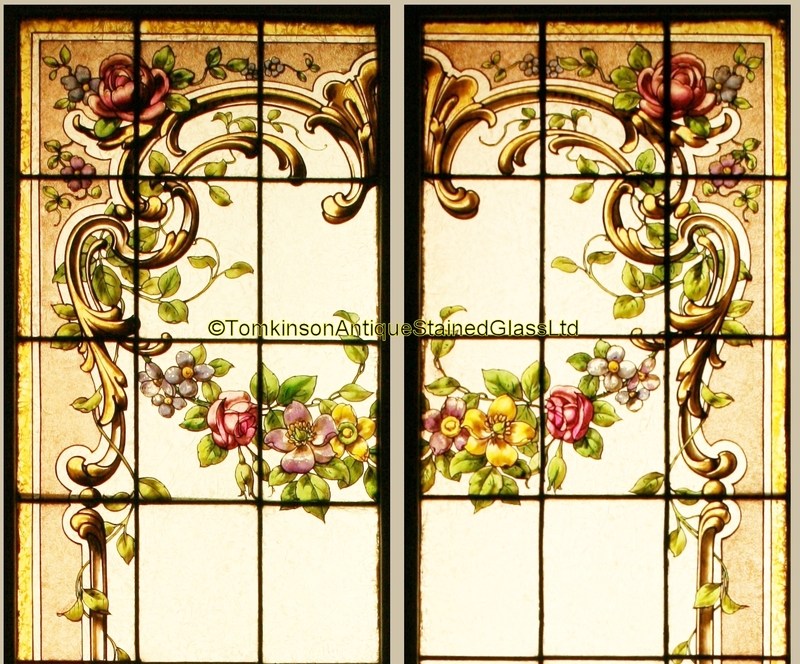 Pair of decorative stained glass panels, c1900, leaded with obscure and hand painted with garlands of Rose and Clematis and lower down Geranium type flowers and foliage. 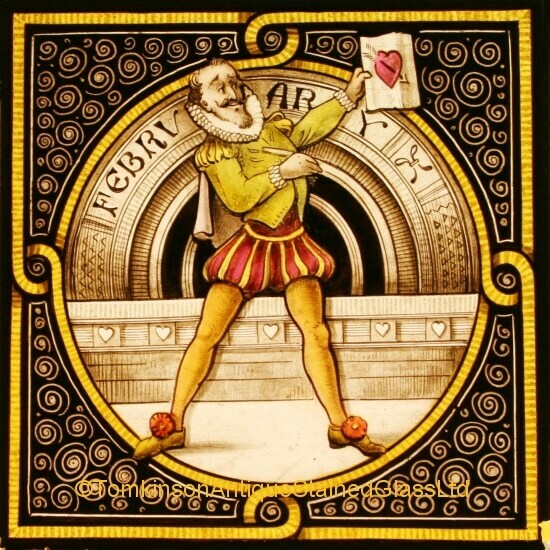 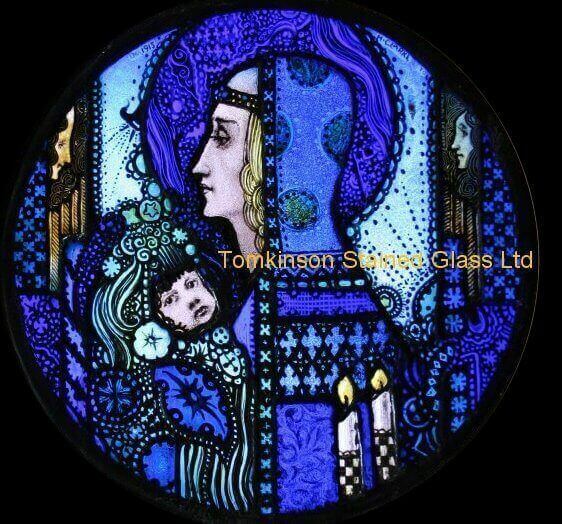 In excellent condition and in original wooden frames. 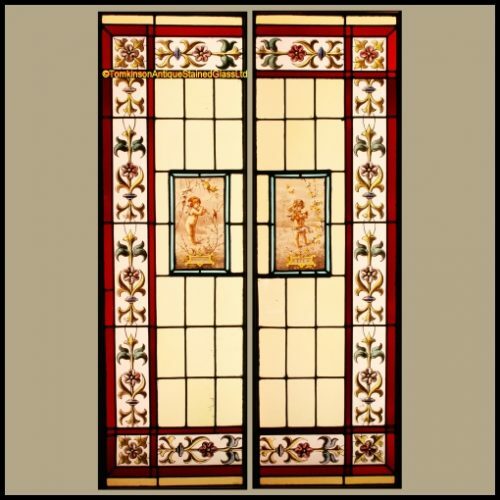 Ideal as conservatory french doors.